Natural coloured merino is purchased in long strips. 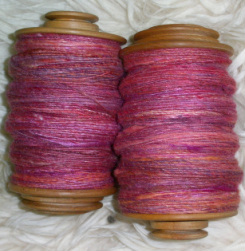 These are dyed in a kettle using orange, purple and red dye. 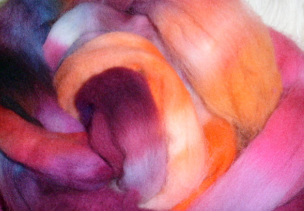 Merino is blended with silk and mohair to create these bundles, ready to be spun. Rolags are spun into singles with the fibres all twisting clockwise. 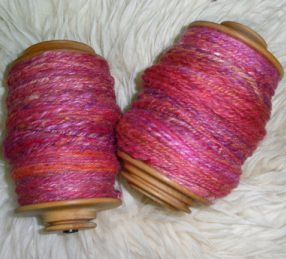 Two or three singles are spun together in the opposite direction to produce the final yarn.